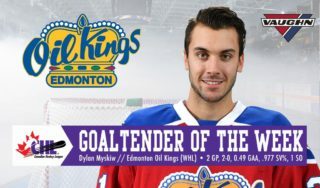 The Western Hockey League announced today that Dylan Myskiw has been named the WHL Eli Wilson Goaltending Goaltender of the Week and League nominee for the Vaughn CHL Goaltender of the Week for the second consecutive week. 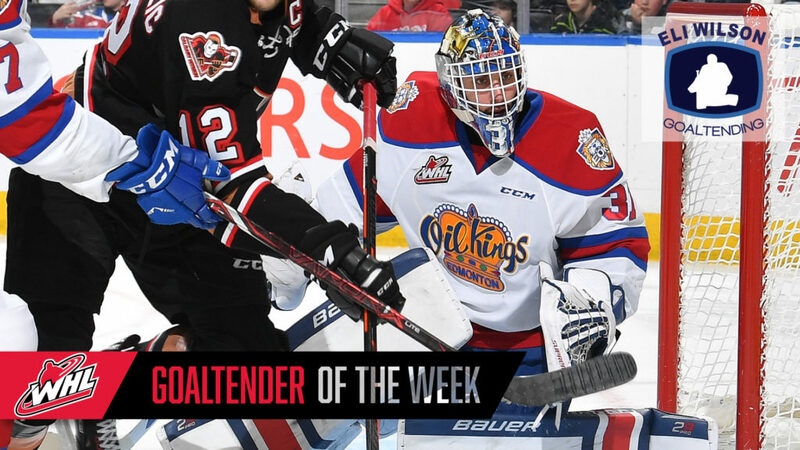 It marks the third overall time this season that Myskiw has been named as the WHL Eli Wilson Goaltending Goaltender of the Week for his phenomenal performances. 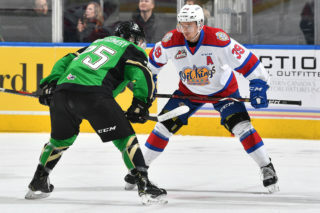 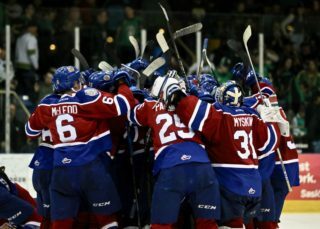 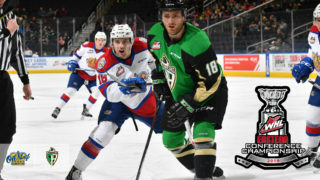 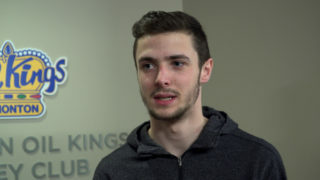 Myskiw and the Oil Kings will be back in action for Games 1 and 2 of the WHL’s Eastern Conference Championship against the Raiders on Friday, April 19 (7:00 PM MT) and Saturday, April 20 (7:00 PM MT) at the Art Hauser Centre. 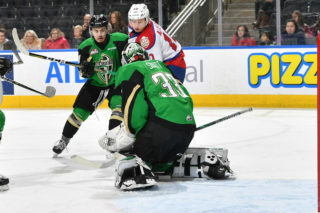 The series will shift to Rogers Place for Games 3 and 4 on Tuesday, April 23 and Wednesday, April 24, respectively, each for a 7:00 PM MT start.